These Chocolate Marshmallow muffins will brighten up any meal. This Easy muffin recipe is a fun twist on S’mores. They have a little twist from your basic chocolate chip muffins and the added marshmallows make the muffin a nice surprise! Perfect for a brunch or breakfast side dish or lunch box treat. 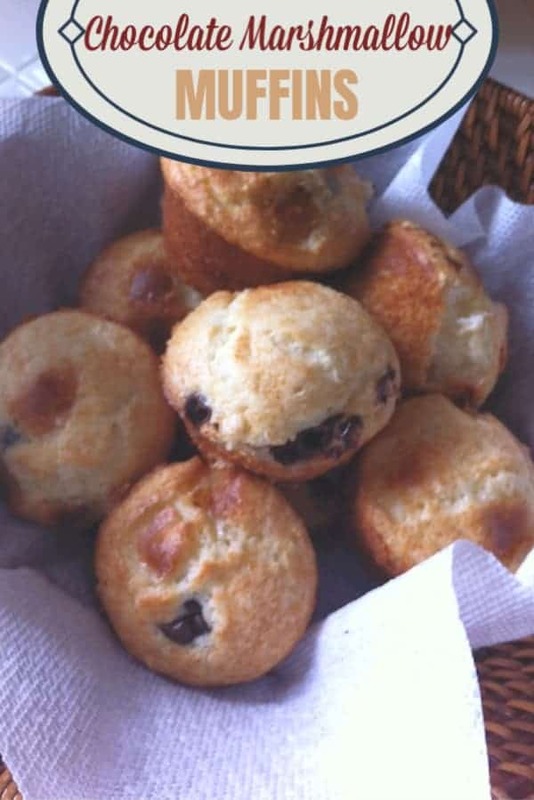 Sweet muffins in the morning are a great way to kick off the day or weekend. This weekend I am working on some craft ideas so be sure to let me know if you are following me on Instagram. When I make s’mores I like to cook the marshmallows until they are burnt on the outside, because to me there is no other way. Similar to s’mores, these Chocolate Marshmallow Muffins are the perfect combination, nestled inside a warm, fluffy muffin. When I make these in the morning, they are gone before noon. The use of a baking mix saves some time as you do not have to combine the flour, shortening, salt, and baking powder separately since that is what the baking mixes are made of. One of these days I will share the recipe for the pre-made baking mix. It is on my list. In the meantime, pre-made baking mixes are great for so many recipes. Easy Pineapple Muffins – These beautiful sunny citrus muffins are a perfect way to start the day. Sweet Banana Muffins– Perfect banana muffins with a light cinnamon crunch topping. Crumb Top Carrot Muffins – A family favorite and a great way to incorporate carrots. Mix ingredients in bowl in order listed. 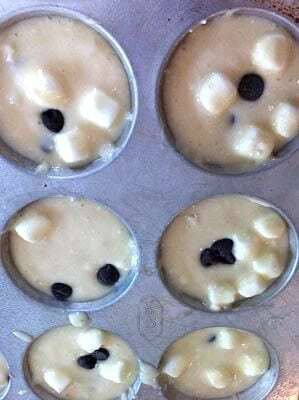 Pour batter in baking cups. Add a couple of marshmallows to each muffin. These will stay at the top of the muffin while baking. Bake 14-16 minutes. Let cool slightly. 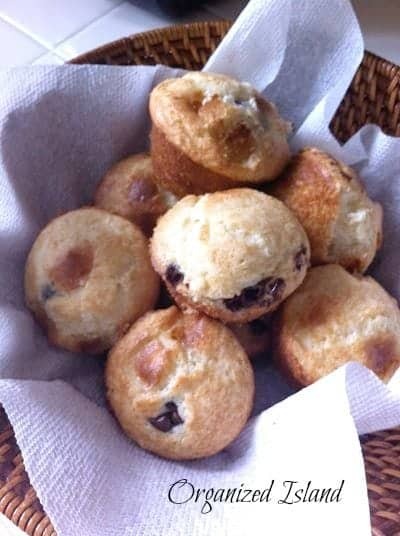 These muffins are rich and moist and just sweet enough. Now I am ready for a weekend! Enjoy! What are you doing this weekend? OMG OMG OMG….I am in heaven just looking at those, so going to try these…thanks for sharing babe. Yum!!! 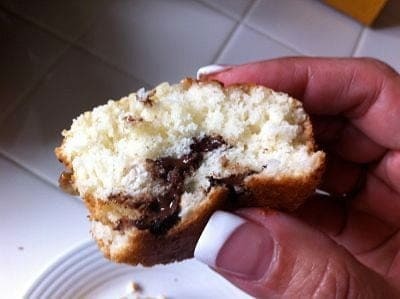 How could you go wrong with muffins that taste like S’mores?? Sounds like a winner! Thank you Tanya! Hope your birthday week has been great! Wow. Now that’s a muffin my kids would love! Me too Jamie! I love S’mores in the summer! I’m stopping by from the SITS girls. I want to eat this right now. It looks so scrumptious. Thank you for sharing. Hi Dalia! Nice to meet you! Thanks for stopping by! I would love to see them Carrie! Thanks for stopping by! Those look yummy! I’d have to add some crushed up graham cracker crumbs to the top (or would they burn??). I’m going to add miniature marshmallows to my shopping list! That is a great idea Jean! I bet that would come out nicely! Wow, awesome idea! I don’t like muffins much but I would like these. I know it. YUM!! I love the marshmallows are baked into the muffins. Nooooooooo! I am trying to lose weight. This is not helping. They look so yummy. I.MUST.MAKE.THEM. Like now. My son LOVES making muffins and marshmallows – but he’s never tried them together. He will love this recipe. Yes. I have grown a deeper appreciation for muffins over the years. I can’t imagine better ones than this! Oooh yum! 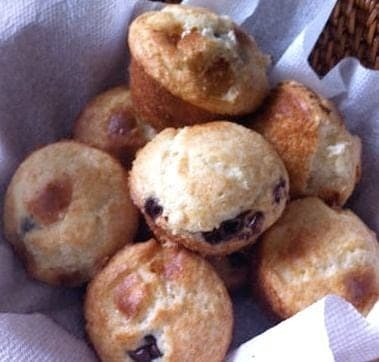 Muffins are a perfect breakfast treat – especially ones with chocolate chips! Thanks for linking up with Merry Monday this week!